Dark under eye circles are absolutely the worst. Some of us experience darkness on it's own, while others have raised or puffy under eye bags. 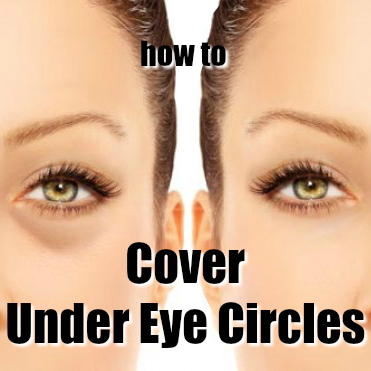 I am going to give you some of the different things you can do to reduce circles and bags, as well as some killer makeup to help you cover up both. 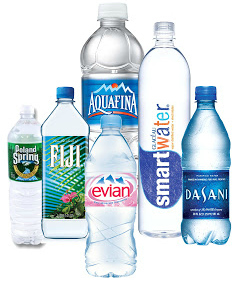 I know it sounds trivial, I know it's irritating, but not drinking water causes your skin to look dull and can create sallowness. Drinking water and eating healthy will help your body in all kinds of ways both inward and outward. You can read more about that here. This is really more about the puffy bags than just darkness. Under eye bags (or puffiness) happens as we age. It is usually cause by weakening muscles and aft around the eyes, which deteriorate and collect in the skin underneath it. Some of us may also see some puffiness around our eyes after a good cry or during allergy season due to rubbing and inflammation. This trick works for both. Put two spoons in the freezer for 20 minutes, then place each one under your eyes (so the convex part that rounds outward is pressed against your skin) for 5 minutes. 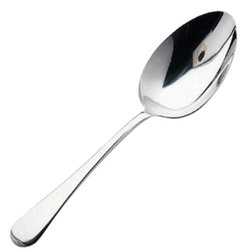 gently press and rock the spoon back and forth just a touch. This helps to freeze the fatty tissue and break it up. Follow this with a little under eye serum or moisturizer. But for aging women who are seeing those truly puffy under eye bags that aren't from inflammation, you need a powerful and hard working under eye serum. My favorite under eye serums that really work at the Michael Todd Beauty KNU Serum Eye Treatment and the Exuviance Age Reverse Eye Contour. 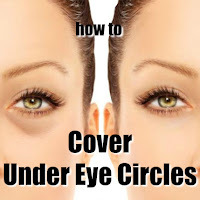 If your under the age of 30 and you get consistent under eye circles, a common culprit is not completely removing your eye makeup. Crazy right? But it's true. Make sure you are completely removing your eye makeup each night. My favorite eye makeup removers include the Mary Kay Oil Free Eye Makeup Remover and the Benefit They're Real Makeup Remover. Follow this with a makeup removing microfiber towel. I like these ones by Fresh Face from Walmart. If none of that is working you likely need to consult your doctor or dermatologist. But whether it's a health issue, or you are simply working towards reducing them, you want to look good now right? So start by using the right concealer for your under eyes. It's really up to personal preference but I like the It Cosmetics Bye Bye Under Eye. It is a little bit of a thicker formula that has a ton of coverage. My next favorite is the It Cosmetics Bye Bye Under Eye Concealing Pot. It has build able coverage and is very lightweight and hydrating. Pat whichever under eye concealer you choose under your eyes and then BAKE. If you do not know what baking is or how to do it click here. Baking is a really powerful way of setting your under eye makeup to ensure brightness and keep everything in place. It also fills in fine lines and wrinkles and will help to smooth out bags and brighten darkness. Plus these concealers can be used all over the face, not just under the eyes. Hopefully these tips and tricks were helpful to you!